What you want out of a window is simple: Good looks, smooth operation, and energy efficiency. Most of all, you don't want to have to replace it again. Once is enough! That's why FIBREX® windows from Renewal by Andersen® are designed with your wants in mind. No longer do you have to worry about rotting wood, drafts, fogged glass, or difficult-to-open windows. Say goodbye to fears that you'll have to replace your windows again in five to ten years. FIBREX® windows are made to look great and operate perfectly for life. Read the Renewal by Andersen warranty® for windows and doors. FIBREX®, a patented material, is a composite made of reclaimed wood fibers and vinyl PVC developed by the Andersen® Window Company, the window maker that has been around since 1903. They know a lot about the strength of wood and the possibilities of vinyl. They introduced the first vinyl windows in 1959, and the first wood windows wrapped in vinyl (vinyl-clad wood windows) in the 1960's. But the research and development team at Andersen® continued to pursue a window material that would balance the weaknesses of wood and vinyl alone. Wood is strong, but it rots. Vinyl doesn't rot, but it needs reinforcement to resist warping. If the two could be fused together, problem solved! Andersen® spent decades researching a way to combine wood and vinyl perfectly. Finally, in 1991 Andersen® unveiled its newest innovation: FIBREX®. 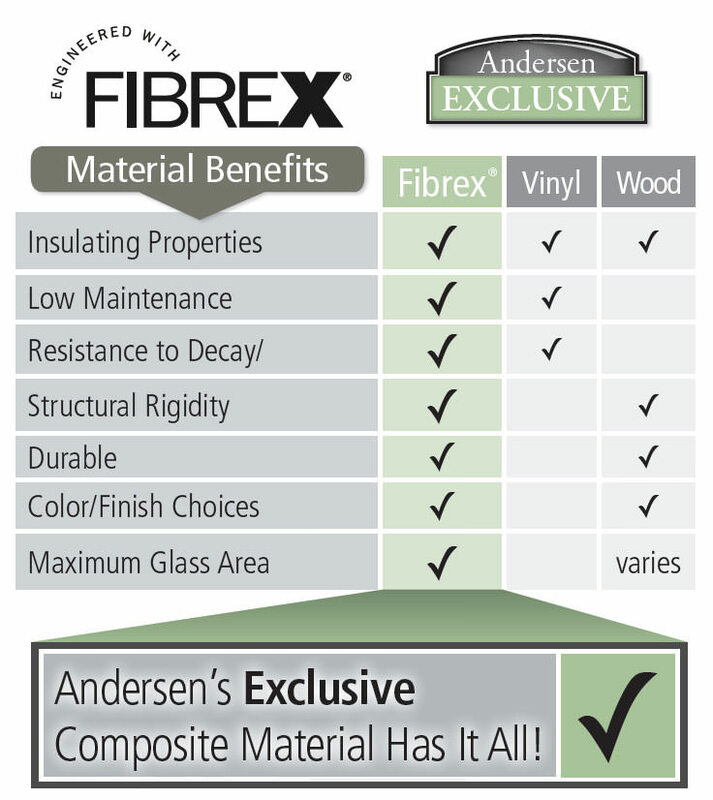 Andersen® makes FIBREX® by taking reclaimed wood fibers (from their own window manufacturing process) and vinyl PVC, and applying tremendous heat and pressure. This bonds the two materials together. The vinyl can't peel away from the wood's tough structure. And the vinyl keeps water from getting to the wood. They protect each other. Wood gives it strength, and maximizes the glass area of a window, using slender frames and protecting your home. Vinyl prevents the wood from rotting, ensuring that it will last a long time. Wood stops the vinyl from warping in changing temperatures, making sure it fits your home perfectly despite the passing of the seasons. Vinyl keeps the frame maintenance-free. Wood gives it that classic look that matches your home's style and architecture. Wood and vinyl together can be manufactured in a variety of appealing colors. You're going to be hit with some big terms and numbers, so if you don't care about technical details, skip to the next section for something a little bit lighter. Coefficient of Thermal Expansion (CTE): In hot and cold weather, both your windows and your house expand and shrink. How much a material shrinks or expands is called the Coefficient of Thermal Expansion. Different materials have different CTE's. Houses are made of wood or brick, which have low CTE's. Vinyl windows, however, have higher CTE's. Since they expand and shrink at different rates, vinyl windows tend to pull away from the house, leaving gaps or cracks. This can cause drafts, cold spots, and fogged windows. FIBREX® has half the CTE of vinyl. Since FIBREX®'s CTE is closer to that of wood or brick, FIBREX® windows expand and shrink with your house. No gaps or cracks will appear, so your thermal windows stay airtight and unfogged. The Heat Deflection Temperature refers to how well a material can deal with heat. At high temperatures, some materials begin to distort and deform. The outside of your home can get very hot in the summer. Put your hand on it on a sunny day. It burns, right? The surface of an average home can reach up to 175 degrees in the summer. Vinyl windows begin to break down at 156 degrees. That‘s why vinyl replacement windows will need to be replaced again over time. The increasing heat of summer will make this deterioration more rapid. Notice that vinyl windows come in white or off-white colors, because lighter colors reflect heat, hopefully slowing the distortion factor as much as possible. 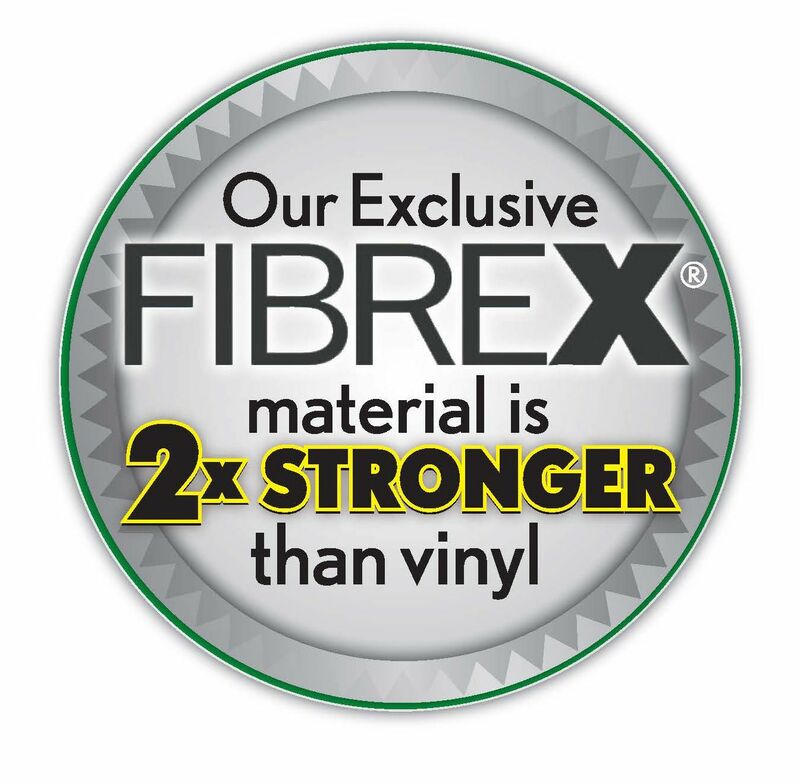 So far, we've only talked about how vinyl compares to FIBREX®. But how does wood perform? While wood performs comparably to FIBREX® in some tests, it has a glaring drawback - it rots. When water gets on wood, it encourages the growth of fungi. The fungi break down the wood. Eventually a wood window can lose anywhere from 10-50% of its total mass. The window literally crumbles and falls apart. FIBREX® is 100% resistant to rot. It will never deteriorate or disintegrate. FIBREX® is also 100% resistant to termites. Renewal by Andersen®'s FIBREX® windows have been awarded the Green Seal. This award speaks specifically to Andersen®'s commitment to protecting the environment. 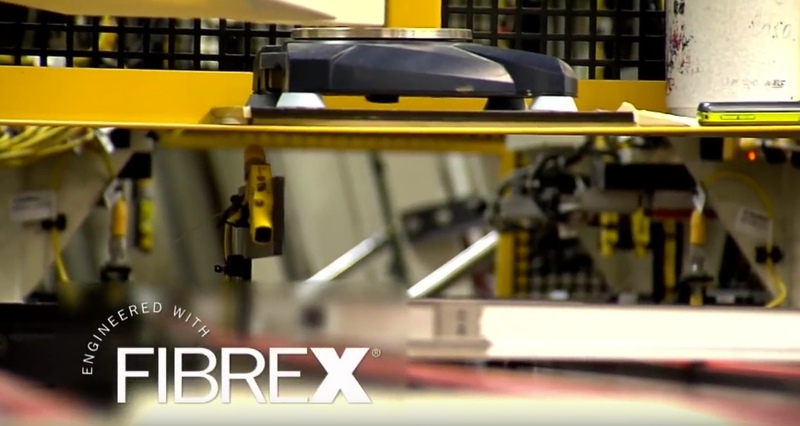 Andersen® uses reclaimed wood from their factories to manufacture FIBREX®. This is scrap wood taken from other windows and/or other wood products. Trees are saved and deforestation is curbed because Andersen® does not need to harvest wood for their FIBREX® windows. Since the materials are reclaimed from their own manufacturing plants, there is no cost to ship long distances. Andersen® saves tons of fuel and labor this way, and you can realize these savings in windows that are affordable and guaranteed to last.